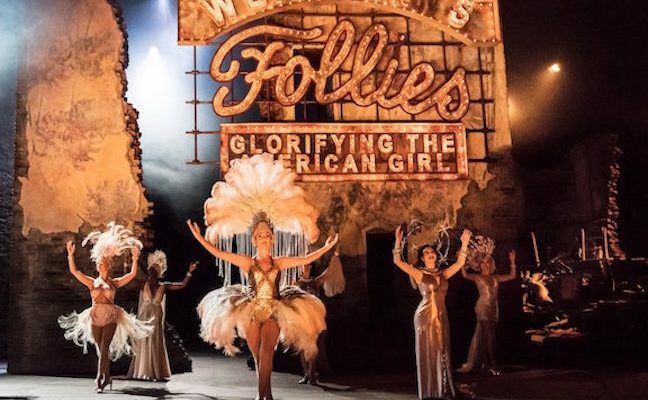 Stephen Sondheim's Follies at London's National Theatre - Upstate Films, Ltd.
Tracie Bennett, Janie Dee and Imelda Staunton play the magnificent Follies in this dazzling new production. Featuring a cast of 37 and an orchestra of 21, it’s directed by Dominic Cooke (The Comedy of Errors). Winner of Academy, Tony, Grammy and Olivier awards, Sondheim’s previous work includes A Little Night Music, Sweeney Todd and Sunday in the Park with George.